This fence charger helps control animals even if your fence line has a lot of weeds. 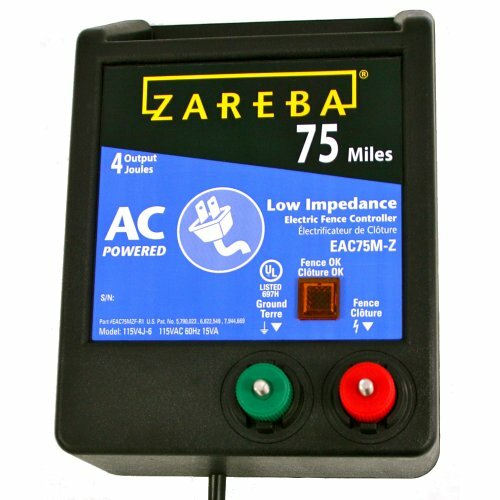 The Zareba 75 Mile AC Low Impedence Fence Charger can be used to help control all types of animals, even predators. It powers all types of fences, including high tensile, poly wire and poly tape in heavy weed conditions. This AC-powered charger maintains maximum energy on the fence and delivers safe, effective high-voltage shocks with digital timing. Features include fuseless design, moisture-resistant internal components, an indicator light that shows charger is working, and a rugged, weather-resistant case. 4-joule output at 75-ohm, 115-volt, 60 cycle, pulsed output (1-second intervals). Uses 10 to 18 gauge wire. UL listed. Comes with a 2-year warranty that includes damage caused by lightning. 3 year warranty when registered on-line with proof of purchase. 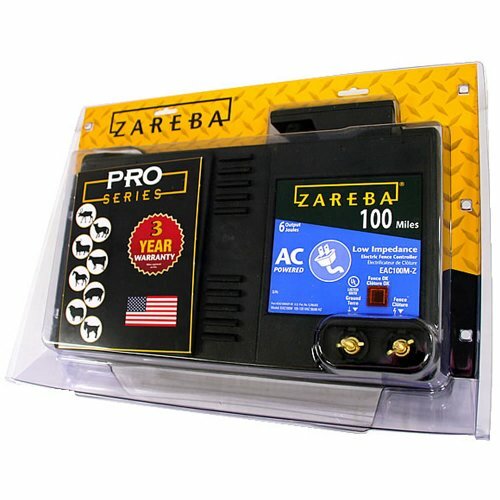 The Zareba AC-Powered, 5 Mile Charger can serve as your trusted animal control ally. This innovative, light-duty electric fence charger is capable of providing an uninterrupted electrical current for farm fence lines up to 5 miles in length during peak operating conditions. This charger is equipped with a 1-amp fuse, along with a fused panel for maximum down-line protection in the event of unexpected power surges, as well as a weather-resistant cabinet to prevent the elements from damaging its internal circuitry. 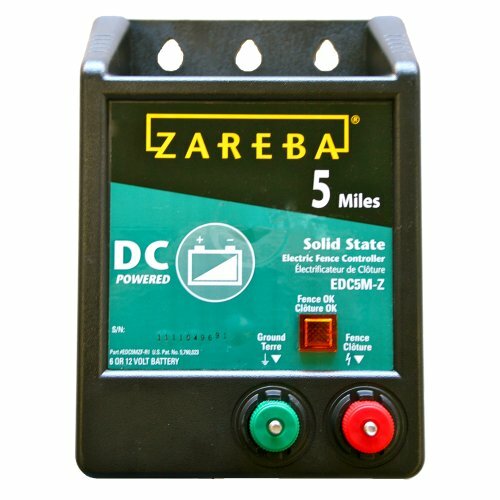 The Zareba AC-Powered, 5 Mile Charger can perform flawlessly in the most demanding operating conditions. Do you want one of the best, most powerful fence chargers made to control animals on your farm or ranch? 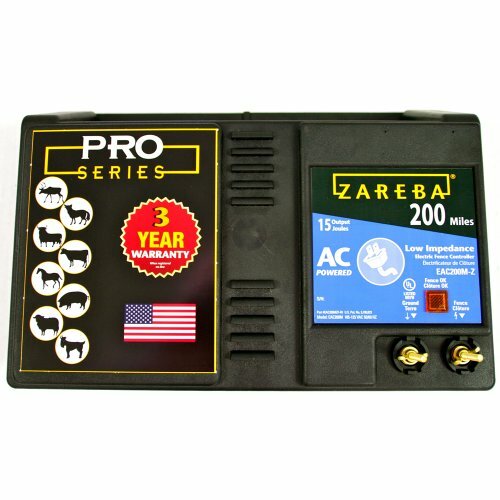 One that will keep your animals in but keep predators out?TheZareba 200 Mile AC Low Impedance Fence Charger is the most powerful animal-control fence charger made in the USA. 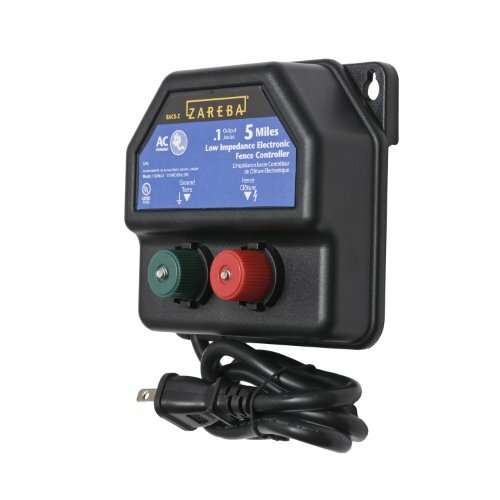 This 200 mile electric fence charger works in heavy, wet weed conditions to control all types of animals, keeping your farm and ranch animals in while keeping predators out. 200 mile range, 115-volt, 60 cycle, pulsed DC output (1-second intervals), 16-joule output at 75-ohm. Features include Storm Guard lightning protection, digital timing, fuseless design, rugged, weather resistant housing, and an indicator light that shows the fence charger is working. Comes with a 2-year warranty that includes damage caused by lightning. 3-year warranty is available when registered on-line with proof of purchase. 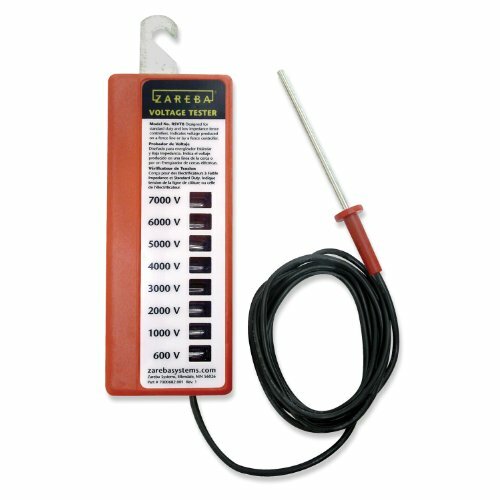 The Zareba 8-Light Voltage Tester checks the voltage of the fence line or the fence charger. This tester is designed for low impedance and standard duty fence chargers. Easy to use. Neon lights indicate voltage levels from 600 to 7,000 volts. To test fence line: Insert probe into ground and hook or touch tester to hot wire. To test fence charger: Touch probe to ground terminal and then touch metal hook to fence terminal. Highest blinking light indicates voltage level. 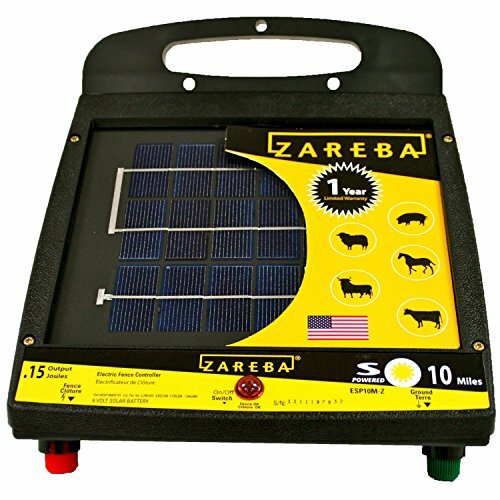 Zareba 100 Mile AC Low Impedance Fence Charger Want a very effective way of containing your livestock while keeping predators out of your ranch or farm? 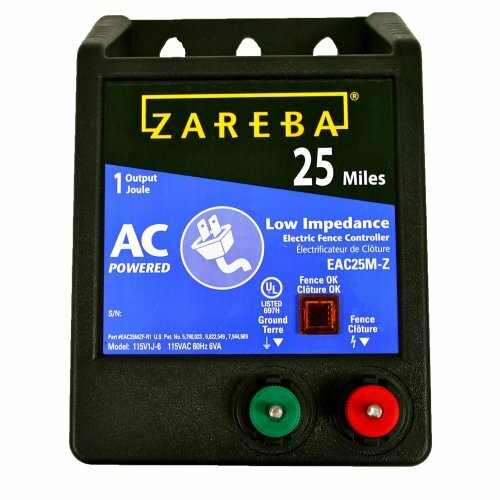 The Zareba 100 Mile AC Low Impedance Fence Charger works in heavy, wet weed conditions to control animals, keeping your farm and ranch animals in while keeping predators out of an area. Product Features: Works in heavy, wet weed conditions Storm Guard lightning protection Digital timing Fuseless design Indicator light showing fence charger is working Item Specifications: Model #EAC100M Low Impedance Contains cattle, horses, deer, pigs, sheep, goats, and predators Power Source: 115 volt plug in, 6 cycle; pulsed output Output joules: 6 at 75 ohms Distance: 100 miles UL Listed 3-yr warranty that includes damage caused by lightning. Looking for an inexpensive way to properly fasten electrified wire to your wooden posts so no energy is lost? The Fi-Shock Yellow Economy Insulator with Double-Headed Nail fits the bill exactly. 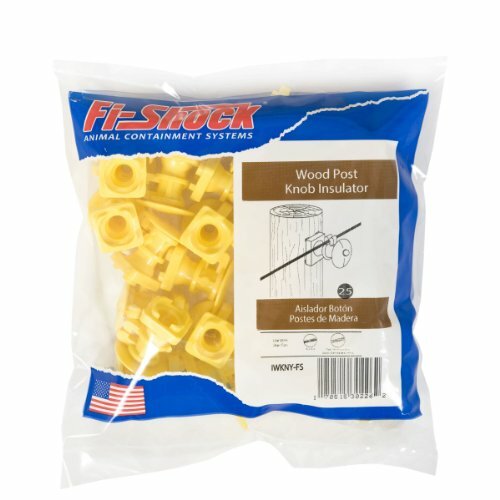 These yellow electric fence insulators are packed 25 per bag. Zareba DC powered electric fence install to protect beehives. 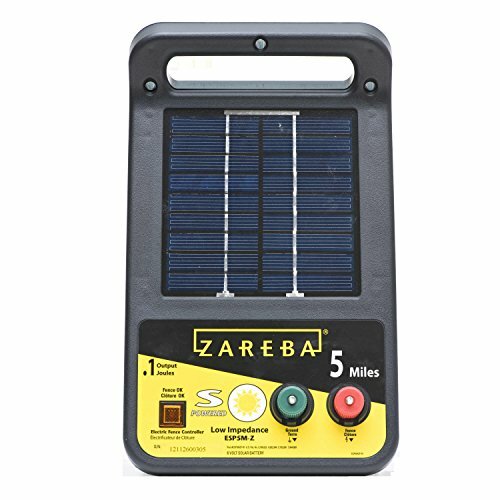 Compare prices on Zareba Electric Fence Charger at ShoppinGent.com – use promo codes and coupons for best offers and deals. Start smart buying with ShoppinGent.com right now and choose your golden price on every purchase.